Tofino is one of the only places on the west coast of Canada that offers accessibility by road to pristine areas of coastline, wild life, long stretches of beaches, great restaurants and activities for the whole family. Beautiful surroundings and wildlife aside, a visit to Tofino offers up a cultural experience with unique people who choose to live in this rugged area of British Columbia. We'd love to show you why we choose to call this beautiful place our home. 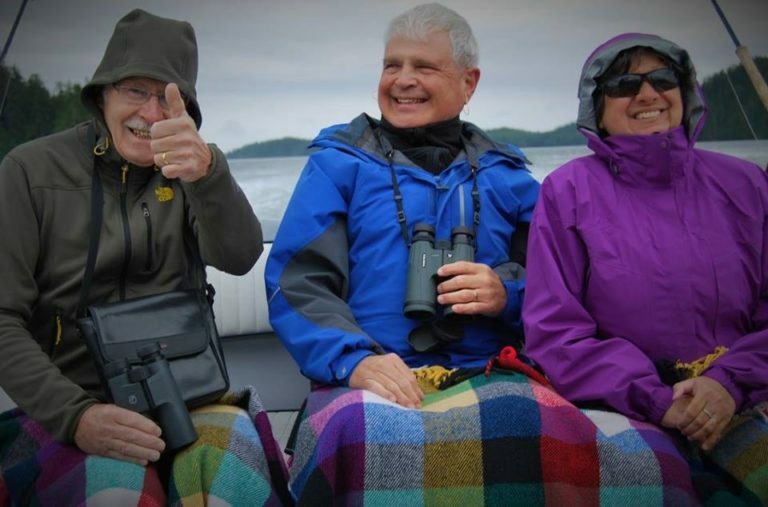 Combine Hot Spring Cove, Bear Watching, Whale Watching, the artistic gardens of Freedom Cove with Saltwater Fishing for a full day experience on the water around Tofino. A true taste of the West Coast! Whether you are interested in heading offshore to experience open ocean fishing for bigger Chinook Salmon and the Pacific Halibut, or maybe the calmer, sheltered inshore waters of Clayoquot Sound in search of the feisty and aggressive Coho Salmon, there is something here for everyone! There are still blue bird days in Tofino during the winter, and the crowds aren't here yet. Inshore winter Chinook Salmon, Dungeness Crab and bottom fish combined with a short hike and therapeutic soak in the springs at Hot Springs Cove is sure to make your 'off season' visit to Tofino a memorable one! We offer competitive rates on our five hour, six hour or full day charters for up to eight passengers on your private charter.